From runways to fairways, Sidney Love Bags make their debut! Christine DeGennaro, designer of Sidney Love bags, works from her Florence, Italy studio to bring these distinctly recognizable bags to the fairways. 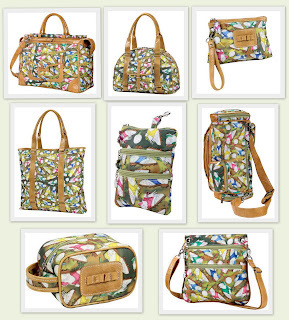 The whimsical print handbags and accessories sell at affordable prices. Vibrant colors and the golf motif patterns make these perfect gifts for the golfers in your life. These collages of imaginative imagery, coupled with effervescent polka dot linings, make Sidney Love handbags and accessories an expression of creativity. 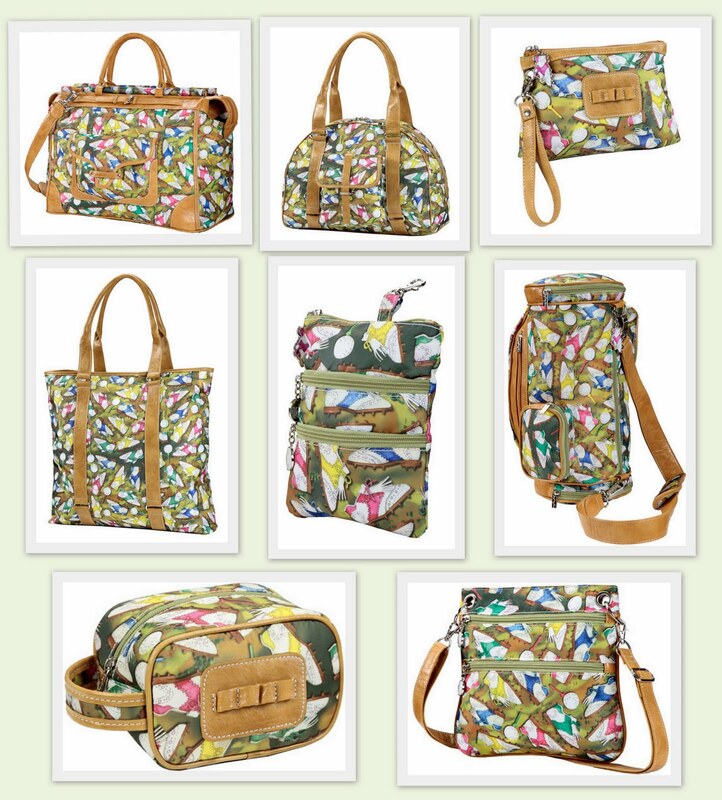 Various styles make these bags a “must have” for the “bag lover” in your family. There is a bag for all occasions when you speak about Sidney Love designs. She has created the Get-A-Way bag, the Accessory bag, the Cosmetic bag, the Day Tote, the Satchel, the Caddy Bag, Shoe Bag, and Across-The-Body Bag! Each has its own purpose and at these affordable prices, you can own them all! Sidney Love bags can be found at Lori’s Golf Shoppe located just northeast of the South Carolina border in Calabash, North Carolina. Lori’s carries over 5000 golf related items for men, women and children. A large department of women’s plus size apparel offers the latest in styles from top golf manufacturers. You’ll find a myriad of accessories from gloves, tees, socks, jewelry, note cards, visors, caps and more. Golf equipment from Adams, Lady Fairway, Nancy Lopez, Square Two and Tour Edge are available for purchase. Custom club building has become a popular choice among both genders due to the expertise of the three golf professionals on staff. Lori’s Golf Shoppe also offers an internationally recognized online shoppe at Lorisgolfshoppe.com. Browse this site for the latest items to hit the golf world. Additional discounts are available at check out and free shipping in the USA is offered for orders over $100. Shopping at Lori’s Golf Shoppe is truly a unique experience that brings golfers together all under one roof. Take time to visit this shoppe and you’ll see the place where all Golfing Gals Gather for fun and friendship. This entry was posted in accessory bags, across the body bags, ladies' tote bags, sidney love bags by fowlerc. Bookmark the permalink.